Can pizza save the world? Students in the After School Education & Safety program (ASES) at Sunny Sands Elementary in Cathedral City are about to find out as they examine sustainability through pizza. The program, initiated by the S.C.R.A.P. Gallery, is a first – combining eco-friendly pizza practices and art! Kids in grades 1-5 will learn about the history of pizza, as it traveled from Italy to America. On the school site they will plant a “pizza garden” featuring traditional herbs and vegetables, learning about healthy eating, composting and pesticide-free gardening. And no study of pizza would be complete without the humble pizza box. Although in this case, there will be no greasy, cheesy mess – the pizza box will be elevated into art. Greenbox, the company responsible for innovation in environmentally friendly food packaging and featured on the television show Shark Tank, is sponsoring the Pizza Box Art Contest. Greenbox was also a sponsor of a pizza box art contest at the U.S. Pizza Museum in Chicago. 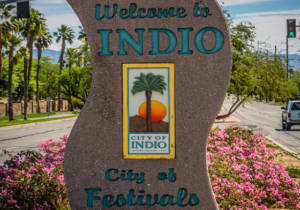 In April, the artwork will be completed and Cathedral City Mayor Mark Carnevale will serve as judge for the contest. All the student work will be exhibited at the S.C.R.A.P. Gallery in Cathedral City.